I woke up this morning wondering why I didn't have that same sinking, dreadful, world-ending feeling I've had the last two times the Seahawks were bounced from the playoffs. Both of those losses (last year's Super Bowl bed-shitting, and a loss in Atlanta after an epic comeback in 2012) felt like guaranteed wins at one point and yesterday's loss in Carolina seemed like it was over before people who made the most of their Saturday nights had even gotten out of bed. That was part of it. But the 31-24 loss also didn't sting as much because the Seahawks probably shouldn't have been in the playoffs to begin with. They'd lost four of their first six games, key players went down to injury and they generally looked like a raging garbage fire until mid November. Everything after the 16-game schedule felt like gravy or icing or the fake butter movie theaters now irresponsibly trust customers to apply to their own popcorn. 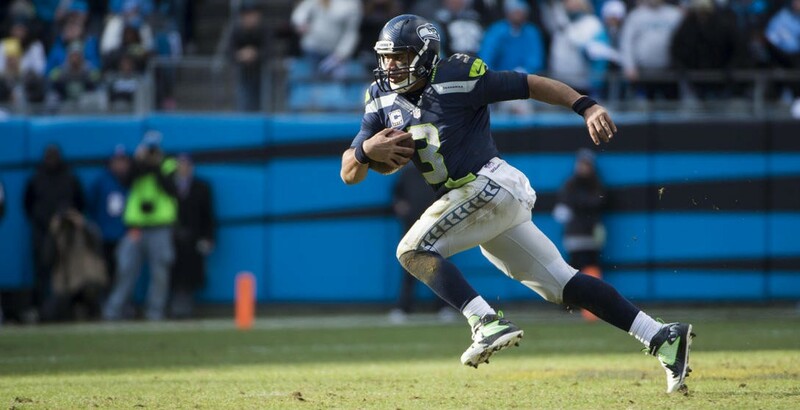 In a way, and I'm not the only person to make this comment, the improbable-but-too-little-too-late comeback yesterday after the worst first-half drilling the Seahawks have experienced in the Era of Russell was a microcosm of Seattle's entire season. You screw things up and get yourself in a massive hole, but then somehow manage to get yourself almost out of that hole, only to fall short at the end. Or perhaps my lack of complete emotional devastation was because the entire first half, during which the Seahawks forgot to play football and allowed touchdowns in all ways conceivable, had allowed me to progress through the grieving process early. Still though, I couldn't have been the only one who knew they wouldn't just let us off like that. They would have to score a bunch of points somehow, because the Seahawks somehow never get blown out. For some, the fact that everything somehow came down to a Stevie Hauschka onside kick that looked very promising at first didn't make the loss any easier to accept. If you want to think of what could have been, just consider that, down three touchdowns early, the Hawks never got to really run their offense, not even in that gutsy second-half rally. So we never got to see what the repaired Marshawn Lynch could do — and there were a few signs he might have been able to do something — or what Seattle could have done with more time on their side in that first half. And those two interceptions Wilson tossed in the first quarter? That's the game right there, especially the pick-six. Whatever. I am fine with it. I can handle this loss much better than a one-yard-line slant route and I am fine with this season. In fact, it's been a hell of a lot of fun, even if, at times, it was maddening. But listen, if you expect your NFL team of choice to make it to the Super Bowl every year, you are not doing this right. Or, perhaps, you should become a Patriots fan. There will be some 12th men and women who jump ship over this, and that is totally fine. They probably weren't having any fun anyway. 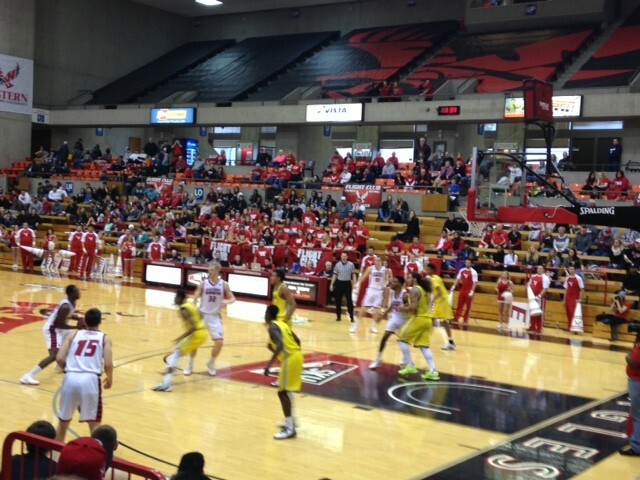 On Seahawks Loss Eve, Monday Morning Place Kicker braved a driving snowstorm to make it out to Cheney for the Eastern Washington men's basketball game against Northern Arizona. Despite the fact that MMPK Jr. was so terrified of EWU mascot Swoop as to cover his eyes for the entirety of the contest, it was a nice reminder of the easily accessible, endlessly entertaining show that Jim Hayford's band of barnstormers put on out at Reese Court. The Eagles had a slow start to their conference season, but have been dominant at home. They crushed Idaho last weekend, then dropped 106 points on Southern Utah on Thursday. On Saturday, they didn't slow down at all, and made history along the way. En route to a 96-73 win over NAU, sophomore Bogdan Bliznyuk recorded the first triple double in EWU history. He pulled down 14 rebounds, dished 10 assists and scored 11 points in the blowout win. Eastern as a whole was on point, as they have been the past two weeks. They shot 55 percent from the field and made 10 three pointers. Austin McBroom had 19 points from outside while Venky "Thunder From Down Under" Jois poured in 21, eight of which came on roof-rattling dunks. Sir Washington made all five of his shots for 13 points. EWU makes a tough road trip next. They play at Montana State on Thursday and at Montana on Saturday. Speaking of bandwagon fans, Gonzaga has probably shaken off a few fair-weather followers in the last few weeks, most recently with a deflating loss on Thursday night to BYU. In that defeat the Zags again blew a second-half lead and, again, their guards were pretty much absent from the scoring column. But on Saturday, San Diego came to the Kennel and were the subject of the Zags' season-long frustrations. In the end, Gonzaga pummeled the Toreros 88-52, and actually got some nice guard play, albeit by committee. Kyle Witljer had 25 effortless points, Domantas Sabonis added 14 and 15 rebounds, but the guards, led by Kyle Dranginis, added 38 points. The Zags head to the Bay Area on Thursday night for what's sure to be a battle against St. Mary's, one of the nation's best offensive teams, at least statistically.